Do you need semi-truck tire repair? Call NTTS now and get it replaced! If you are a semi-truck driver, you want to be confident you get the most out of your vehicle. But things happen. And even if you take advantage of quality maintenance tips of your tires, the breakdown may strike you anytime and anywhere. In such case you will need a professional semi-truck tire repair and this is when our qualified team of mechanics is just around the corner to help you whatever your needs are. Our specialists provide semi-truck tire repair around Canada. So, all you need to do is drive over for service today or contact us for on-site tire installation if your commercial truck gets a flat. At NTTS, our store is stocked with an all-inclusive range of semi-truck tires. 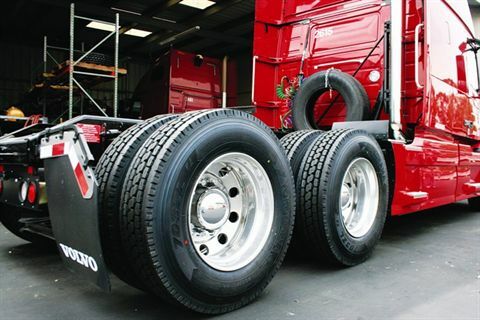 It does not matter if you require tires for your entire fleet or for one semi-truck, our friendly staff is ready to assist you in selection of the specific tires you need. Our specialists are proficient in a large variety of semi-truck tire repair services. Whether your tire has experienced regular wear or needs patching up from a puncture, have some time off, let us do our work! In addition, we are able to perform on-site truck tire repairs and supply emergency roadside assistance 24 hours a day. Save your downtime and money, contact us today and keep on rolling! Do You Want To Solve Your Truck Problem?